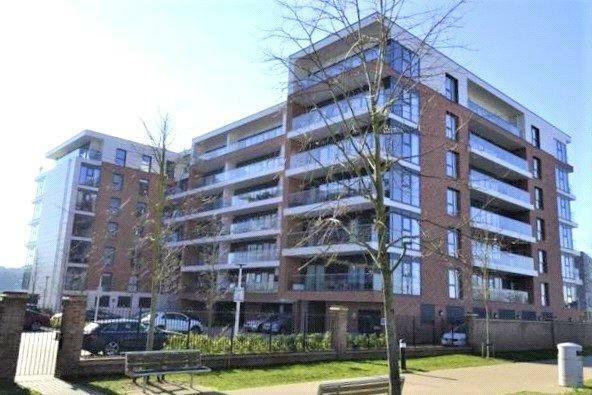 Within walking distance of the town centre and railway station. Communal security entry system to entrance lobby with lift and stair access to all floors • front door into entrance hall with storage and utility • open plan kitchen/living/dining room with built in appliances and sliding door to the balcony • master bedroom with built-in wardrobes • en suite and sliding door also opening to the balcony • second double bedroom with built in wardrobes and window overlooking the balcony • bathroom • one allocated parking space with secure gated entrance which is located to the front of the building. Services - Gas, electricity, mains drainage and water are connected to the property. 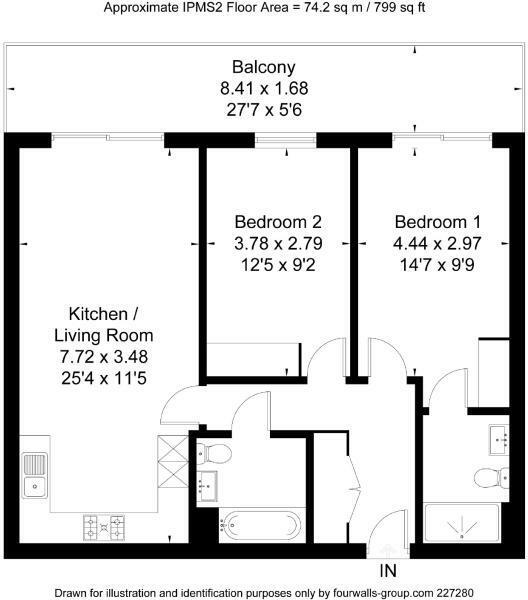 Please see floorplan on this brochure. By prior appointment through the Newbury office 01635 263010. Disclaimer - Property reference NEW190118. The information displayed about this property comprises a property advertisement. Rightmove.co.uk makes no warranty as to the accuracy or completeness of the advertisement or any linked or associated information, and Rightmove has no control over the content. This property advertisement does not constitute property particulars. 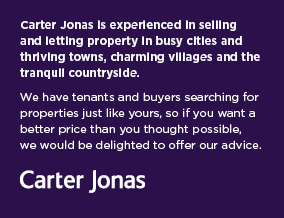 The information is provided and maintained by Carter Jonas, Newbury. Please contact the selling agent or developer directly to obtain any information which may be available under the terms of The Energy Performance of Buildings (Certificates and Inspections) (England and Wales) Regulations 2007 or the Home Report if in relation to a residential property in Scotland.